“Militarism is not divine,” either: The point of the military-industrial complex is to “stimulate” the economy. And Muslims must be careful not to “replicate imperial structures” even as they fight against them. So said Hatem Bazian, whose co-founding of Zaytuna College earlier this year was preceded by more than a decade of activism against Israel. The remarks were made to a group of Muslim Student Association members at UCLA on March 11, according to tweets by the group. The University of California-Berkeley professor’s soothing and stirring words about Islam’s concern for social justice, “dignity” and stamping out “oppression,” however, belie his inflammatory statements in favor of intifada and whipping students into a rage against Israel’s very existence. 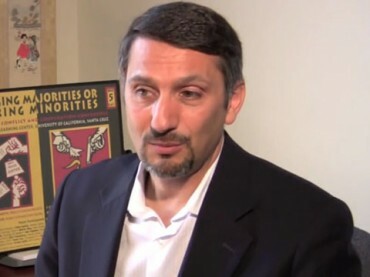 When Bazian, the chairman of American Muslims for Palestine, helped establish Students for Justice in Palestine in 2001, he helped start the movement that has successfully pushed divestment from companies that do business with the Israeli government. He has also grown a curious coalition over the past decade: a union of socialist and Muslim religious activists. Bazian has been active as a leader in the socialist movement as well as divestment campaigns. Bazian has called for an intifada in the United States. He was listed under “Writers” in the September 1999 issue of UCLA’s Muslim magazine Al-Talib, which praised Osama Bin Laden as a “freedom fighter” prior to the Sept. 11th terrorist attacks. He also has links to organizations such as KindHearts, which the Treasury Department said had “ties to Hamas.” KindHearts agreed to shut down in a 2011 settlement with the agency. From his position at UC-Berkeley, Bazian has frequently led protests against Israel, most recently in September. Video from that “International Day of Action” protest shows participants chanting mantras connected to acts of violence, including “From the River to the Sea, Palestine will be Free” – hinting at the removal of Israel as a Jewish state. While Bazian has been given a platform by the UC system for his left-wing, anti-Israel rhetoric, the school hasn’t been so friendly to its right-leaning voices. After being dropped by UCLA for questioning the scientific basis for regulations on diesel emissions, researcher James Enstrom got a $140,000 settlement from the school and reinstatement of his research privileges earlier this month, as The College Fix reported. Asked about his UCLA talk and the issues he discussed, Bazian sent The Fix two of his recent articles. One article discusses his perceptions of the Islamic State, while the other puts the founding of Zaytuna College, the first accredited Muslim college in the U.S., in the context of the 1960s civil rights movement. 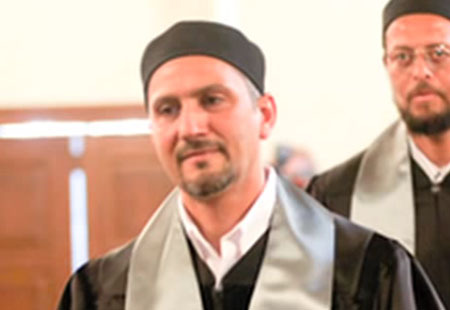 Bazian wrote that Zaytuna seeks to help students find “spiritual solutions” to today’s problems. He also criticized modern universities for being “corporate” and emphasizing a “material” approach. 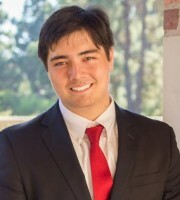 College Fix contributor Jacob Kohlhepp is a student at UCLA.